Boca Raton, FL – Boca Raton Football Club is proud to announce that the team’s home games this season will take place at Lynn University’s Bobby Campbell Stadium. Built in 2014, Bobby Campbell Stadium (3601 N Military Trl, Boca Raton, FL 33431) is located in the heart of Lynn University and just minutes from Interstate 95. Solidifying a home stadium to play has been one of the club’s priorities this offseason. Bobby Campbell Stadium is a natural grass field that seats up to 500 spectators, as well as room for Standing Room Only. Although at Lynn University, the school is not hosting the events, nor are they co-sponsors or endorse the event. 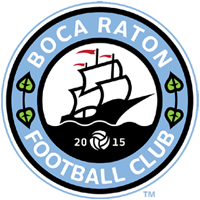 Boca Raton FC will have its first home game of the season on June 11 when the defending APSL Champions face Uruguay Kendall at Bobby Campbell Stadium. Tickets can be purchased at www.bocaratonfc.com/tickets.